In 1850, the Kingdom of Hawaiʻi passed its first legislation towards the care and training of Hawaiʻi’s delinquent youth. Then, the legislature, on December 30, 1864, approved “An act authorizing the board of education to establish an industrial and reformatory school for the care and education of helpless and neglected children, as also for the reformation of juvenile offenders”. The Industrial School model was in response to the belief that segregation in an institutional setting was the most effective way to address the needs of neglected and delinquent youth. Major characteristics of this congregate-care facility included strict regimentation, harsh punishment, unequal treatment for boys and girls, a poor education system and an emphasis on work. Farming activities were intended as much to make this facility self-supporting as to provide therapy and training for the wards. Reports about the Waialeʻe institution refer to conditions as always overcrowded. 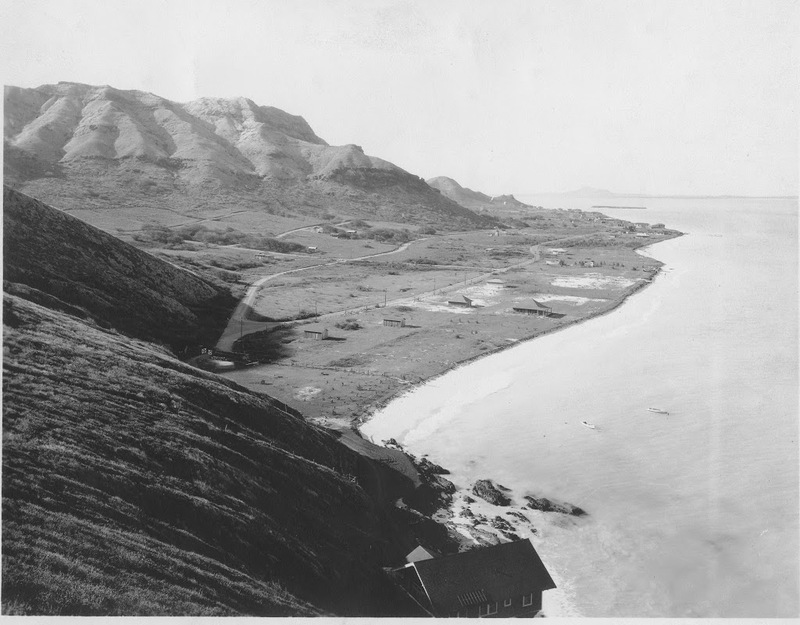 Meanwhile, female wards moved from Kapālama to Mōʻiliʻili, then in the 1920s to the Maunawili Training School on the mauka side of Kalanianaʻole Highway in Kailua, Koʻolaupoko. 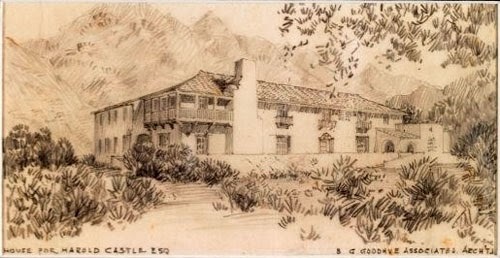 The girls’ Maunawili complex included five major buildings sited on approximately 430-acres on the slopes of Olomana. All the buildings (primarily designed by CW Dickey) were constructed between 1927 and the opening of the school in February 1929, with the exception of the gymnasium which was built in 1938. In 1931, the boys’ facility underwent a name change from Waialeʻe Industrial School to the Waialeʻe Training School for Boys; that year, the girls’ Maunawili complex became known as the Kawailoa Training School. Then, in succeeding decades, various types of facilities and locales were used to house, train and educate the youths. In 1950, three “cottages” for boys (named, Olomana, Kaʻala and Maunawili) were built on the makai side of Kalanianaʻole Highway from the girls’ Kawailoa Training School in Kailua. Then, all operations at the Waialeʻe Training School for Boys (111-boys and 45-staff members – the entire population from Waialeʻe) transferred to the new facility and the name changed to the Koʻolau Boys Home. In 1961, all operations came under a combined administrative unit (including housing both male and female youths) with a new name, the Hawaiʻi Youth Correctional Facility (HYCF,) a branch of the Corrections Division of the reorganized Department of Social Services and Housing. The SCF is comprised of a central courtyard surrounded by three housing modules, with ten cells and a common area in each module, a school, a gymnasium, kitchen facilities, offices for administrative and medical staff, and two isolation cells. The Olomana School, Olomana Hale Hoʻomalu and Olomana Youth Center were established since 1985 and provide support services to alienated students throughout the State of Hawaiʻi. Olomana School (operated by the DOE) offers three main educational programs: incarcerated youth are served at HYCF; the Olomana Hale Hoʻomalu program is to provide educational and support services to students who are temporarily confined to the juvenile detention facility; and The Olomana Youth Center serves at-risk students from Windward Oahu’s secondary schools and also HYCF students who are in transit. Due to the pending litigation in 1991 against the State regarding conditions of confinement for women, the temporary Women’s Community Correctional Center (in what was the Koʻolau Boys Home on the makai side of the highway) was remodeled and completed in 1994 as the State’s primary women’s all-custody facility. Women’s Community Correctional Center (WCCC) is the only women’s prison in Hawaii. It also serves the needs of pre-trial and sentenced female offenders. The facility houses female offenders who are of maximum, medium and minimum custody levels. 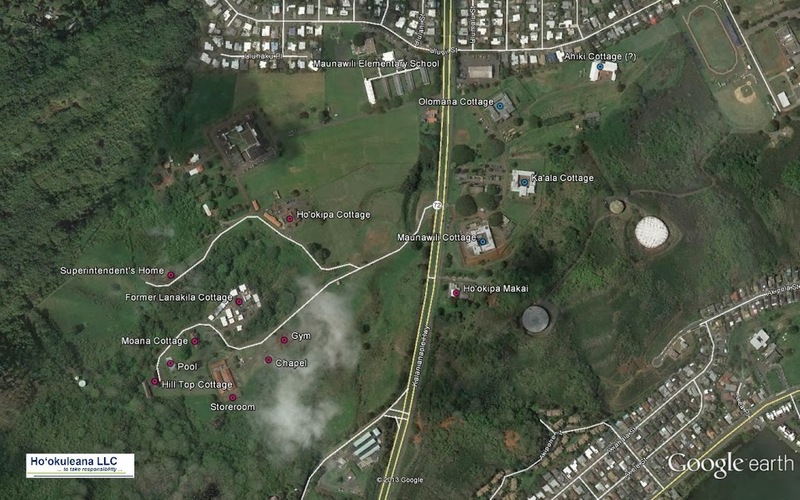 The image shows the Hawaiʻi Youth Correctional Facility and Women’s Community Correctional Facility buildings labeled in Google Earth. I have added other images to a folder of like name in the Photos section on my Facebook and Google+ pages. Since previous communication had been by means of wires, “wireless” seemed like the logical name and it served until 1906. In the 1920s, there were four communications organizations in the US: the American Telephone and Telegraph Co, Western Union Telegraph Co, International Telephone and Telegraph Co, and Radio Corporation of America. Two of them operated international radiotelegraph circuits – the ITT and the RCA. The ITT had a radio-telegraph subsidiary known as Mackay Radio and Telegraph Co, which operated radio circuits to a few foreign countries, in addition to its radio service to and from ships at sea. Mackay Radio & Telegraph Company was founded by Clarence H Mackay, son of John W Mackay. Clarence Mackay was the father-in-law of composer Irving Berlin. John Mackay initially made his fortune in Comstock silver, but he later (1883) moved into telegraphic communications. Mackay formed several telegraph communications companies to compete with Western Union. When John Mackay died in 1902, Clarence inherited the businesses. Clarence Mackay saw to the completion of the transpacific cable. Radio was added to the business end of things in 1925 to provide “radiogram” service to every area of the world. Mackay Radio was mainly interested in maritime communications which went along with the maritime radio-telegraph business. By 1928, ITT had merged with most of Mackay’s business interests but the Mackay name continued on for several decades. The tower was an inescapable landmark overshadowing the community. It’s gone now; and so is Mackay’s company from the community. But Mackay Radio and Telegraph has left a lasting legacy in corporate operations. By the mid-1930s, Mackay Radio’s principal West Coast office was in San Francisco, and it had other sending facilities in several cities. These facilities transmitted and received both telegraph and radio messages. From the San Francisco facility, the company maintained point-to-point radio circuits with Los Angeles, Seattle, New York, Hawaiʻi, Tokyo and Shanghai, among other locations. However, the Mackay system had long been in weak financial condition and, by the mid-1930s, its corporate parent stood under considerable strain. 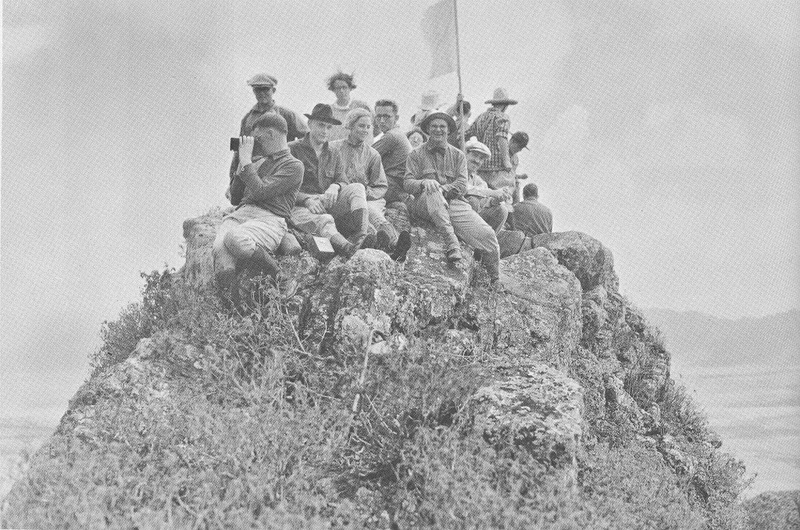 Disturbed by cutbacks in their working conditions and changes in employment policies, the Mackay workers began a union-organizing effort in the early part of 1934. They then sought to negotiate with the Company. No agreement was reached, and a strike began at 12:01 am on October 5, 1935. A later National Labor Relations Board (NLRB) finding led to a lawsuit and subsequent US Supreme Court decision. In a landmark 7-0 ruling (NLRB v. Mackay Radio & Telegraph Co (1938)) the Supreme Court made two significant decisions: (1) an employer may hire strikebreakers and is not bound to discharge any of them if or when a strike ends and (2) workers who strike remain employees for the purposes of the National Labor Relations Act and an employer may not discriminate on the basis of union activity in reinstating employees at the end of a strike. The “Mackay Doctrine,” as the striker replacement portion of the ruling is known, is one of the most significant Supreme Court rulings in American labor law, and has defined collective bargaining in the United States since its publication. The rule forbids employers to discharge workers who engage in a legal strike. At the same time, it allows employers to hire other workers to take their jobs. Mackay was more than a decision that provided an instrumental method for a firm to replace economic strikers and to resist their return to employment after a strike. It was also a decision that established important practices that constituted the conduct of union-management bargaining. The lawsuit that initiated this decision was based on the economic conditions of the larger company, not its Kailua presence; however, Mackay was here at the time of the decision and, as such, Kailua and Hawaiʻi are a part of that legacy. 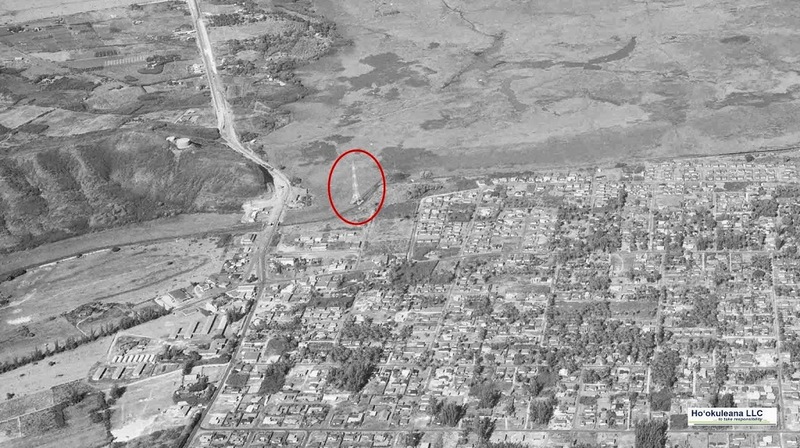 The image shows the Mackay Radio and Telegraph tower in an aerial image of Kailua in 1949 (UH-Manoa.) In addition, I have added other images to a folder of like name in the Photos section on my Facebook and Google+ pages.